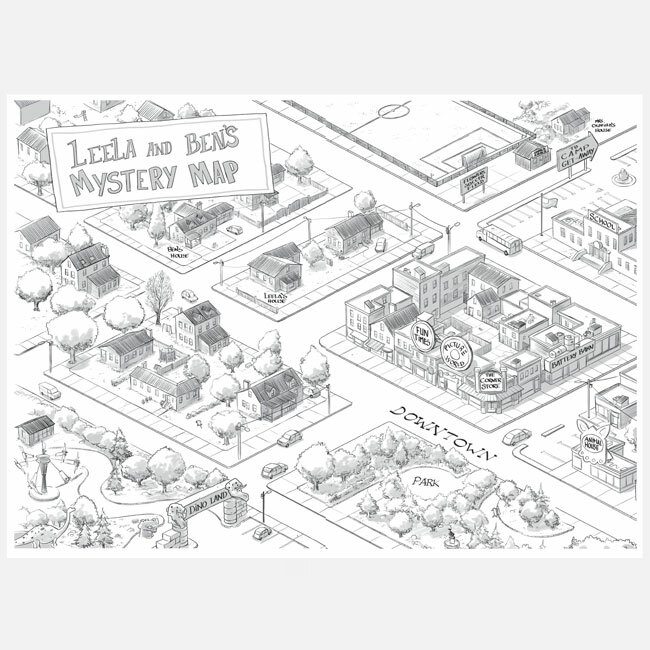 Leela and Ben are 12-year-old friends and detectives. If there's a mystery to be solved, Leela and Ben and Bens dog, Sir are there! Follow this trio as they solve cases at Dino Land, Camp Get-Away, and all around town. There's no danger and no edgy themes–just a lot of light-hearted fun. 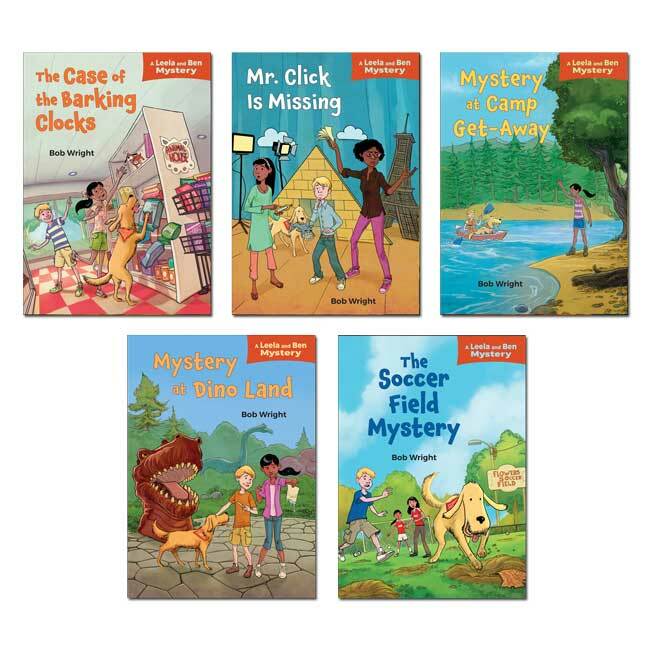 Straightforward, simple stories and a clue review at the end of each book help struggling readers solve the mysteries along with Leela and Ben. Someone is using barking clocks to rob stores. Who is it? And why does it smell like stinky cheese everywhere? Mr. Click takes school pictures every year. One day he goes to lunch, and he doesn't return. What happened to Mr. Click? The sixth-grade kids are all having fun at camp. Then someone starts playing jokes on them or are they jokes? Leela and Ben want to see the new dinosaur at Dino Land. Sir keeps finding bones there. Are they dinosaur bones? There's a new soccer field in town, but it keeps getting messed up. Who is doing it? Is it Sir? 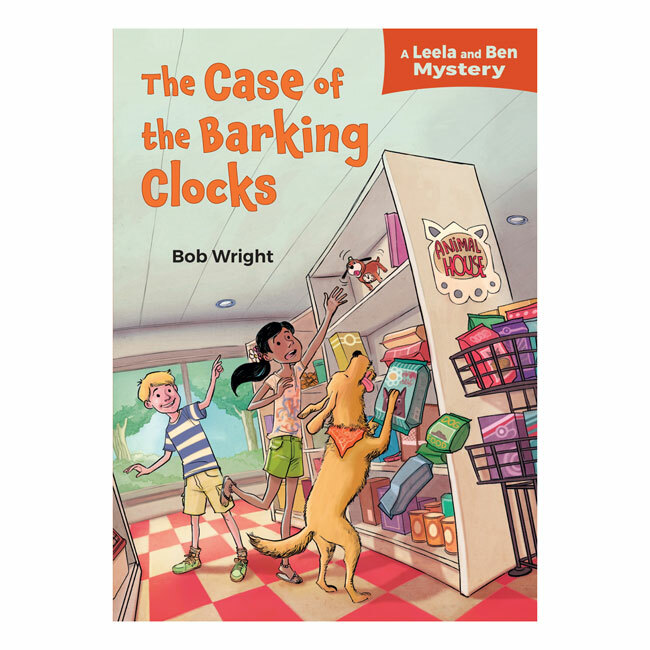 We really enjoyed the Soccer Field Mystery and the Case of the Barking Clocks! 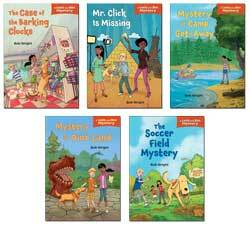 What a great series for the students who need something extra engaging! 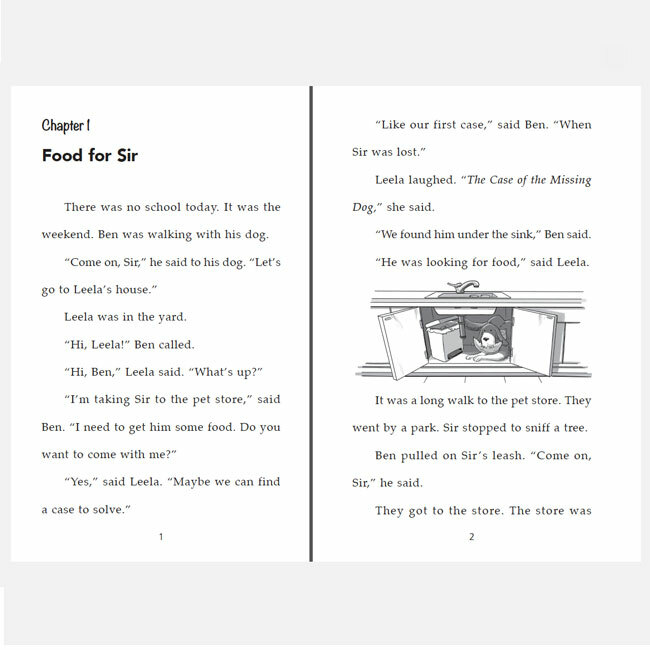 The sentences are short, easy to comprehend, and the short chapters let children know they are making progress. This mystery helped my 3rd-grade boy think about clues, evaluate information, and make inferences based on the story - all great critical thinking skills! I'll be sure to recommend this series to my fellow teacher friends. Comic elements will engage students. The kids seem typical and curious and current, they use technology. I like the detail of the pictures. The mystery books keep them hooked. These books are SO funny! I like Sir the dog because he finds clues. These books are awesome and cool. I love your company. Thank you!